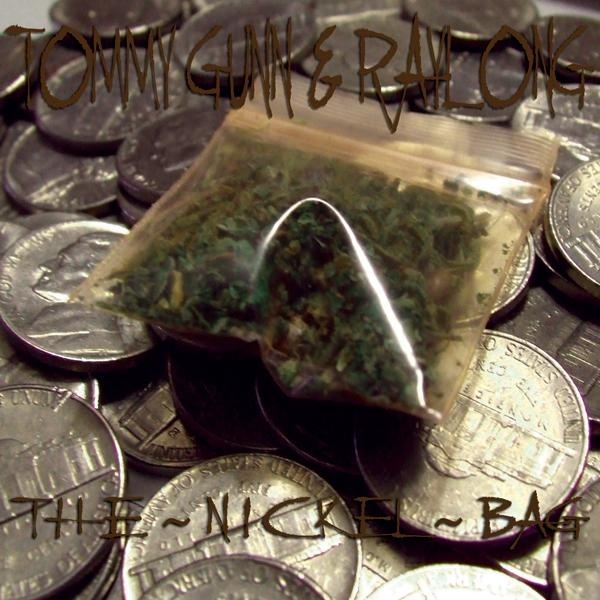 Released in a "VERY limited pressing of on CD" by Godsendant Music and Backwoodz Studioz in 2008, The Nickel Bag was pushed as Tommy Gunn's followup to his 2004 album, A Penny for Your Thoughts, released under his Monsta Island Czar moniker, Megalon. You can see the similarity in the cover art, done by Ravage the MeccaGodZilla. 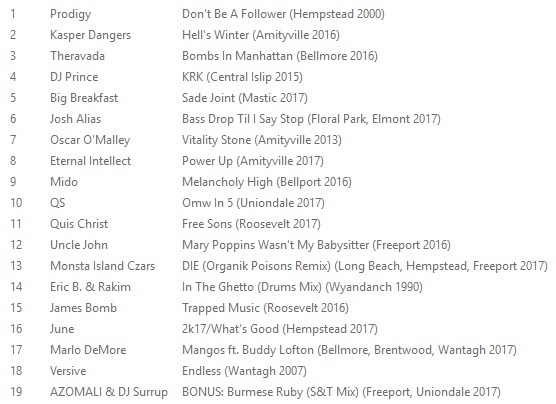 Also like that album, the production here was handled almost entirely by X-Ray da Mindbenda, except for one track, "5 in Change," which was produced by Da Muslim Brother from Germany. The main difference between the two albums is that for this one Tommy was joined by his brother Raylong, who contributes vocals to about half the songs.According to Backwoodz, the duo of Tommy and Ray actually went by the name Hearts ov Darkness, although, as you can see, that group name didn't appear on the album cover. Another important difference, for our purposes at least, is that while A Penny For Your Thoughts is selling for $50+ on CD via Discogs and still available on iTunes, this album is no longer purchasable either digitally or on CD. Hence, stream a couple standout tracks, including the MF DOOM diss "You Was My Son," below and download The Nickel Bag in full here.